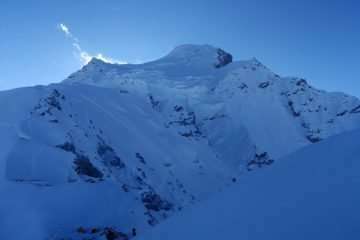 The Saribung peak lies close to Tibet border and stands at Damodar Himal. 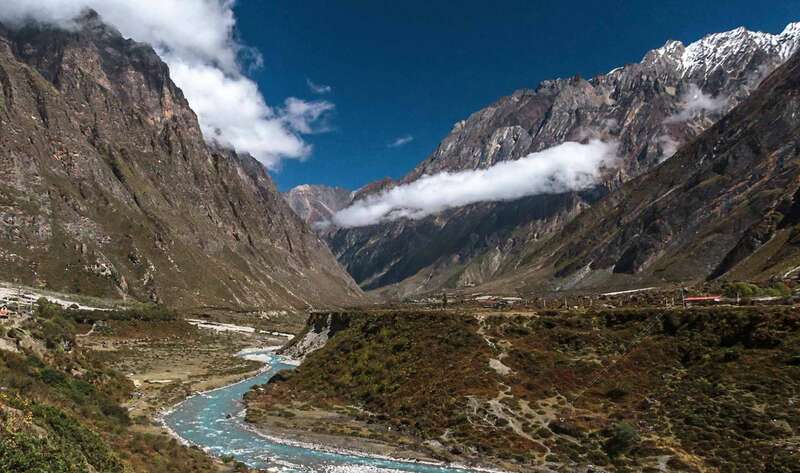 Generally, the journey is encompassing from upper Mustang into wild Nar Phu Valley and most attractive landmarks between the route. The Saribung peak expedition is an exploratory adventure at the same time the direction goes through the colorful rocks cliffs, attractive destination, many cultures, and geographical versions. Furthermore, beautiful perspectives of the Annapurna Dhaulagiri massif inspire strenuous walks. The hiking path of Saribung peak expedition leads you upper Mustang and beyond. Saribung peak expedition is being noted among the trekkers because it gives challenging pass and tenting experience in the put off the beaten track. 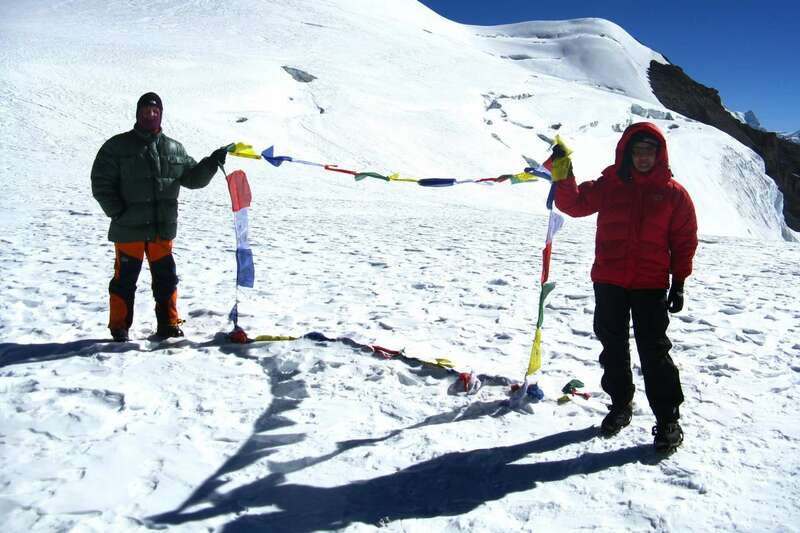 The Saribung peak expedition is challenging due to altitude variant and barren region of Damodar Saribung traverse. The adventure of Saribung peak expedition is quite challenging but does not require technical potential. While Himalayan Exploration Treks strive their stage first-class trying to attract using the itinerary. The adventure journey within the faraway mountain vicinity is unpredictable and includes excessive risk. Accordingly, the day trip chief has the vigor to amend the route if he or she thinks it’s essential due to safeguarding considerations. Pease chase after by way of the targeted itinerary and get back to us with any further assistance! 3: Kathmandu – Pokhara (920 m) 6h00 drive. 4: Pokhara – Jomsom – Kagbeni (2870 m) 20 minutes by plane 3h00 walk. 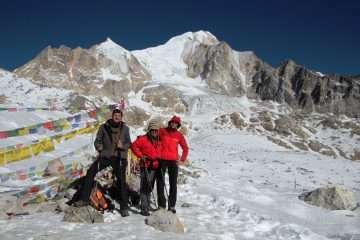 12: Trek to Ghuma Thanti 4600m 6h00 walk. 13: Trek to Namta Khola 4890 7h00 walk. 14: Trek to Saribung Base Camp 4950 6h30 walk. 26: Free Day in Kathmandu. This is a picturesque drive to Pokhara from Kathmandu traversing through several beautiful villages, forests, rivers and as well as mountain scenery. Finally get to Pokhara in the afternoon. 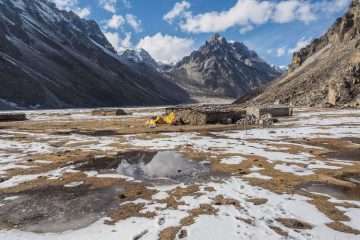 The trail goes gradually ascend through barren land, picturesque mountain scenery to a pass then making long descend passing by some chhortens, on the ridge. Then further pretty descend to Samar village where the stunning scenery of Annapurna and Nilgiri. The trail goes into a gorge and crosses a stream takes another valley. Then ascends to a hill (3,800 m) taking on ridges and pretty descend to Gelling. As usual as other days, the trail goes little descend and cross a bridge ascends steep with a rocky trail to get a ridge and further continue climbs to reach region of Lo, King Ame Pal established a kingdom in the 1380s, with the walled city of Lomanthang as the capital and the people of these areas called Lobas. Finally a short descend and cross a stream then climb up to enter the plateau of Lomanthang. There are several places to explore. Visit monasteries with own features The Namgyal Gompa located on the top of the hill. It is considered a local court. And continue a visit to Tinkhar, the last village of upper Mustang. Today, we make a short trek to Luri Gompa. In the morning, we continue through the river route to Luri cave Monastery which takes about 2 hours. There are two monasteries. First, we visit one which is situated below of Luri Cave monastery. Then a short steep ascent brings us to Luri Cave Monastery which takes us about 30 minutes. This monastery is the oldest and most famous cave monastery in the Mustang region which constructed in the 15th century. It situated at an elevation of 4005m. Inside the cave, we can see a big Old Chhorten and many images and statues of Protectors and Deities. There is an also highly sacred religious text which always closed. Stay overnight at tented camp. In the morning, after breakfast, trek to Camp I, the trail is tough because of the snow. We will climb up very slowly with gaining altitude. We need to make lunch pack due to no appropriate cooking possibilities in the trail. Stay overnight at tented camp. 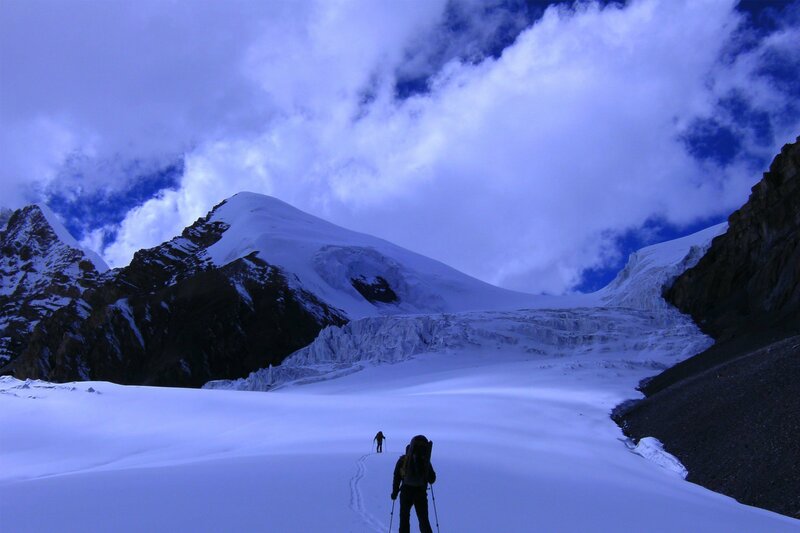 In the morning after breakfast, we will start our trek from our camp and walk on the Tibetan plateau and barren valley viewing splendid view of snowy peaks until reaching Phu Gaon. Now we are in one of the unique Lost/ Hidden Valleys. 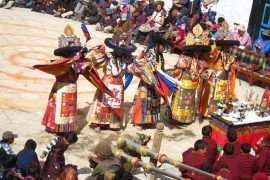 We can see their cultures, natural diversity, and religion of the ethnic groups like Lama, Gurung, and Ghale. The people depend on subsistence agriculture, animal breeding, and seasonal migrations. The ancient Buddhist Monastery known as Tashi Lakhang Monastery is listed out of the 108 world’s great Buddhist Monasteries; it is believed to be the last monastery constructed by Karmapa Rinpoche. We have a great view of Himlung Himal and other snow peaks. Overnight in Lodge. Morning after breakfast, we will walk on the Tibetan plateau and pass the Kani/gate end of the village and drop down in the narrow valley and arrive in Kyang where we just see the remnants, particularly the ruined forts of the Khampa settlement (the place which Khampa refugees from Tibet once captured and lived illegally) at places like Jhunam, Chyakhu, and Kyang. Then we continue the trail until reaching Meta. We can see the very spectacular view of Annapurna II and Lamjung Himal. Overnight in Lodge. Climb down along the Marsyangdi River, first cross by an iron bridge just end of the Dharapani village. Then, continue upstream of Marsyangdi River until reaching Kotro and cross by a long suspension bridge over the Marsyangdi River. The trail continues right hand through the small batters in the canyon. There is again other suspension bridge, cross over the bridge and drop down to the sandy area near the Tal village. After Tal, the trail drops down to the River in the rocky trail and climb up the through the dense forest area and again cross by a suspension bridge near the Chyamje where lunch break. Then, the trail continues in the left hand until reaching Jagat Village. Overnight in Lodge. In the morning after breakfast, we walk down through the rocky trail until reaching Syange where we can see very picturesque waterfall about 200m. Then, pass the waterfall and continue along the Marsyangdi River until reaching Bulbhule following the road trail for a short-cut. It takes about 5 hours to reach and enjoy with last day trekking treat. Overnight in Lodge. Prices are quoted in U. S. Dollar and payable in any convertile currency. All prices published on our website are set as low as possible. The Prices may vary at any time due to currency fluctuation, fuel prices, and unforeseen economic circumstances. But, we guarantee our prices which already signed up for your tour. Please consult us for a custom quote.